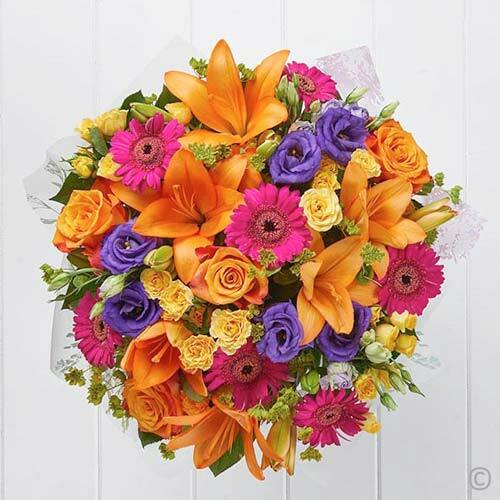 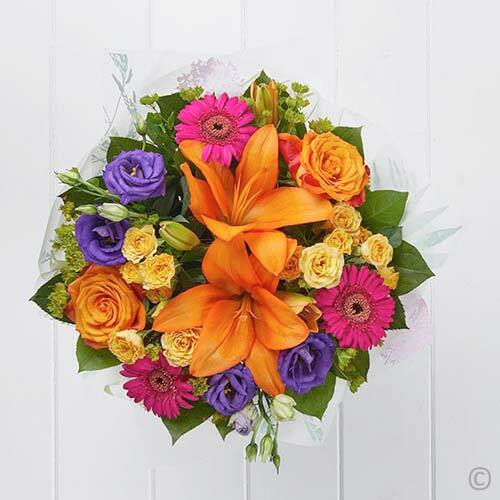 Featuring orange LA lilies, orange roses, purple lisianthus, green bupleurum, yellow spray roses and cerise germini with salal. 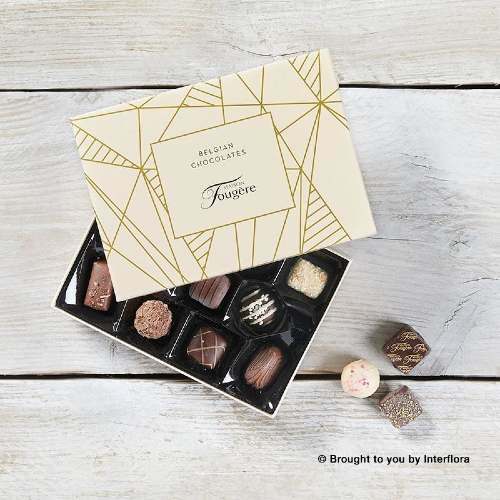 Type your 'GIFT TAG' message. 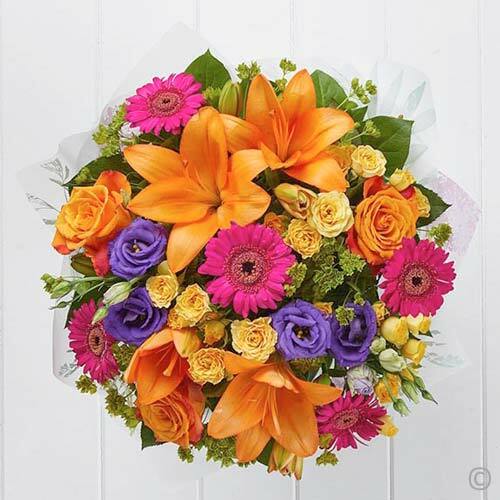 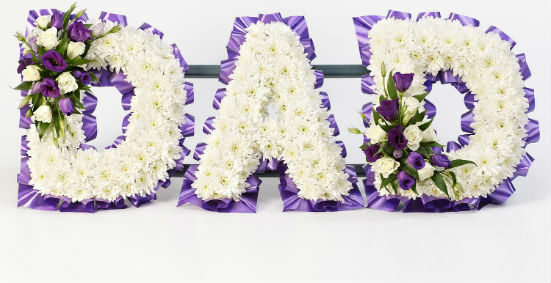 Our flowers are hand made to order and delivered direct from a florist covering the delivery area*. 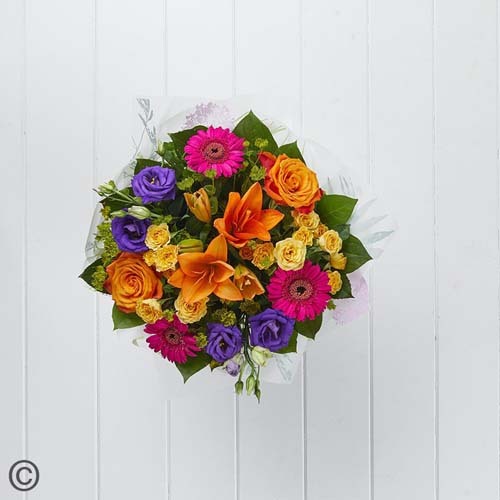 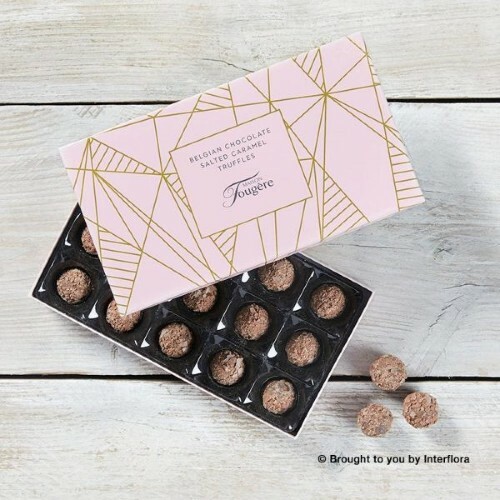 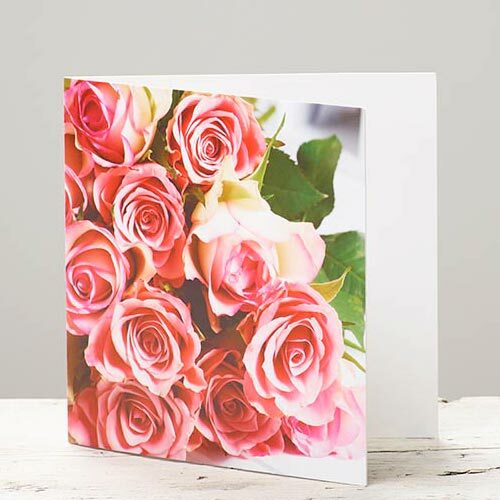 *Some speciality items are not available for same day delivery and if the local florist is not available to make the delivery one of our other florists will hand make your order and deliver via courier. 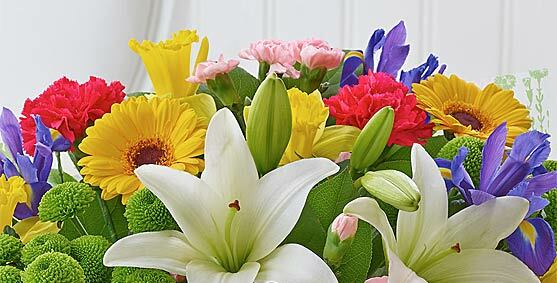 **Same day cut-off may vary depending on location / stock availability.